To some, Israel is known as the promised land. 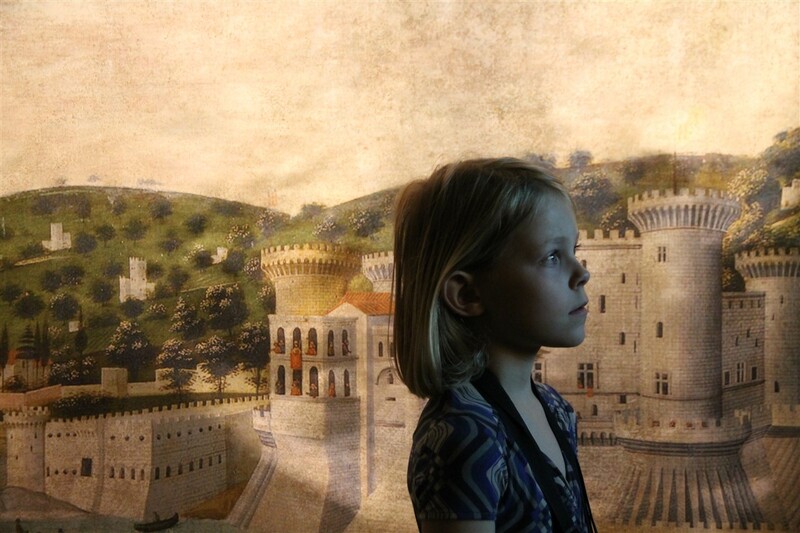 But for travelers, this country has much more to offer than only promises. It is a small country, but there is a lot to see and there is a lot to do. There are deserts for nature lovers, ancient ruins and medieval cities for amateur historians, (Mediterranean and Red Sea) beaches for avid beach-goers, a multitude of interesting places for bible enthousiasts etc. Accommodation is also easy to come by and the use of Air BnB is pretty common. In case you still need some advice on where to stay, we can tell you that Tel Aviv is a popular place since it’s a modern, relaxed, open-minded city, but hotel rental prices are high here. We stayed in an Air BnB in Even Yehuda, just 30km north of the city (and very close to Maccabi Tel Aviv’s Netanya Stadium!). 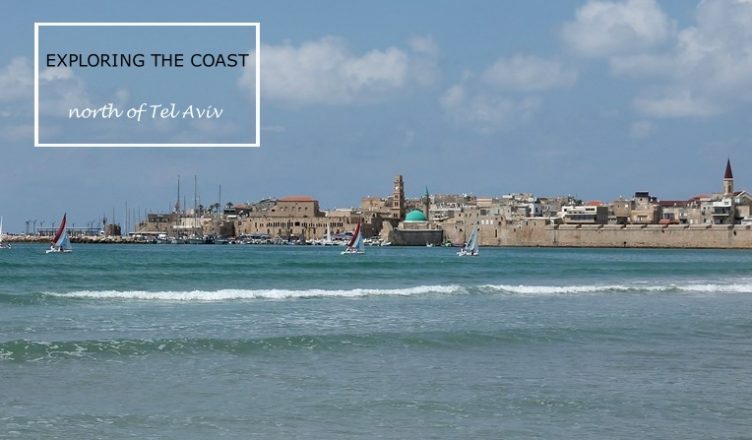 Tel Aviv (or Even Yehuda, Herzliya or any other suburb) is situated close to the Mediterranean coast and since Israel is small (it can’t be said enough, and it is a major asset), it is relatively easy to reach important places of interest from here (e.g. 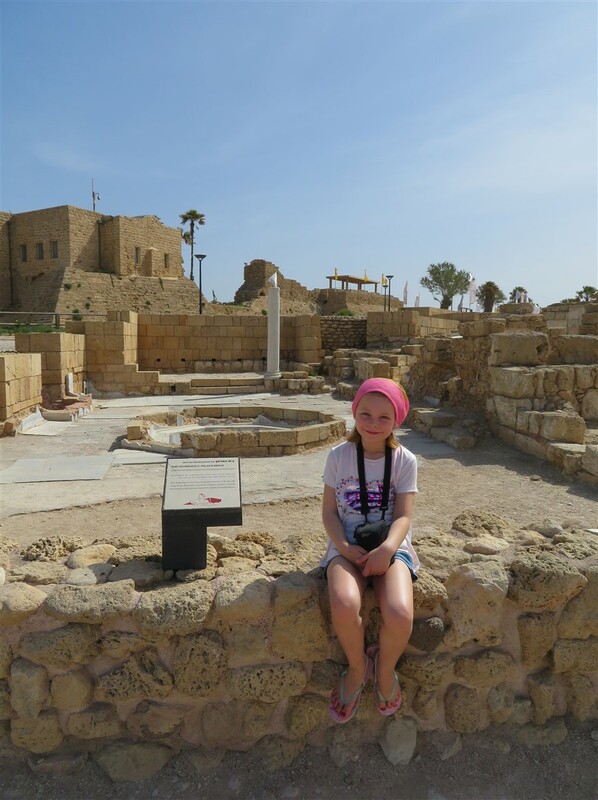 Jerusalem, Dead Sea, Beit She’an, Ein Gedi, Akko…). 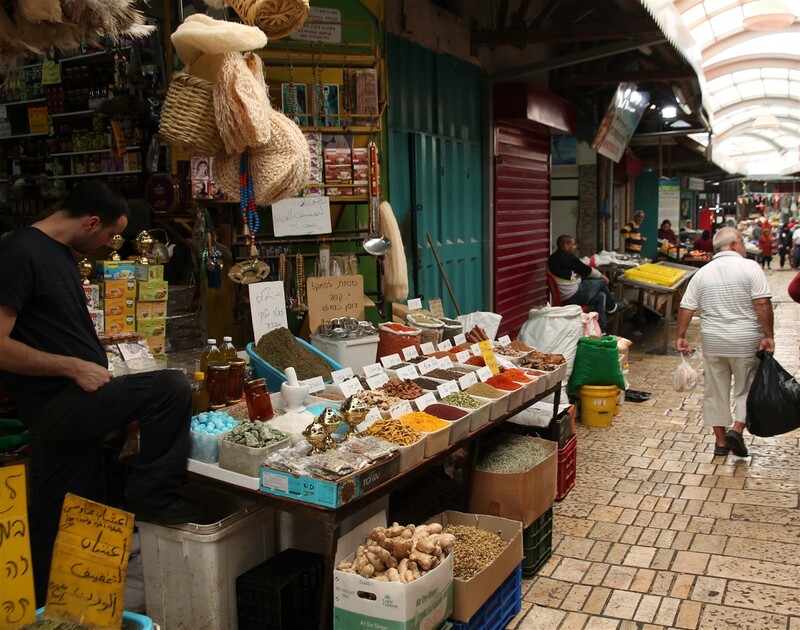 Since there are so many daytrip options, you can come to Tel Aviv without any plan and easily fill a couple of weeks with exciting adventures! Although most of Israel’s highlights are situated in the east (e.g. Jerusalem and the Dead Sea) or south (e.g. Eilat and the Red Sea), we would like to suggest to you to head north along the coast for one or two days. This stretch of land will offer you a pleasant combination of culture and nature. By staying close to the coast, you can always stop for a swim or a few hours on the beach if you want. 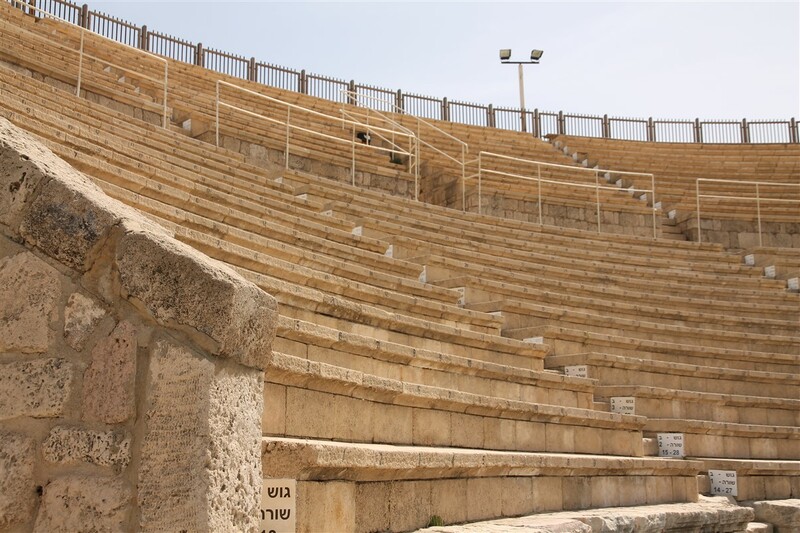 Less than an hour’s drive from Tel Aviv, Caesarea is one of Israel’s most attractive and fascinating archaeological sites. 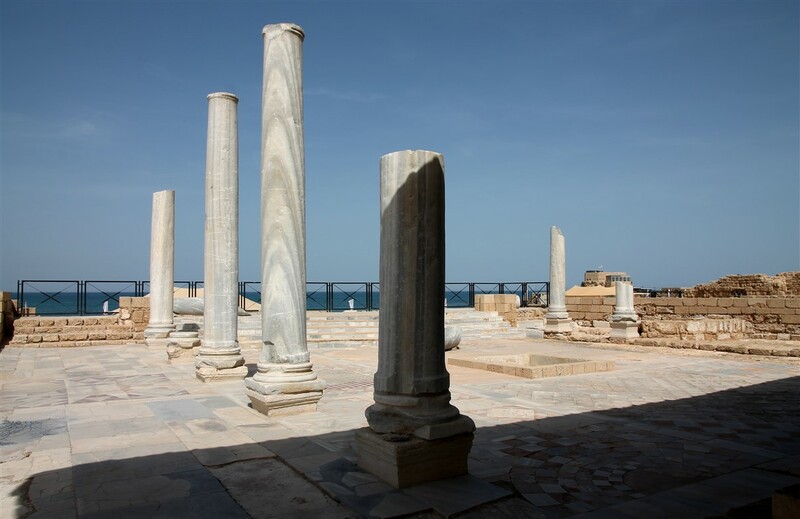 The port city of Caesarea Maritima was built in the first century BC under Roman rule. At a certain point, it had evolved into the most important city of Roman Judaea, so there is quite a bit to be seen here. 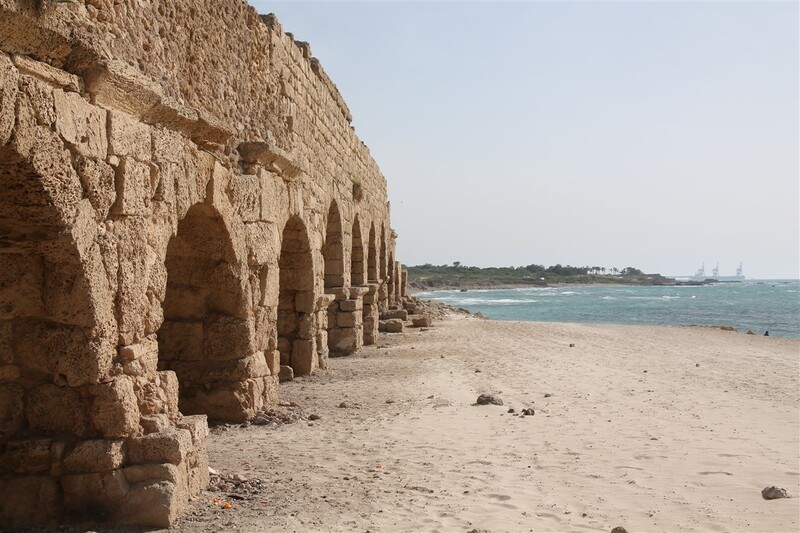 The Caesarea National Park is an extensive site, so be prepared for a few hours of strolling around amidst the ruins. Some highlights include a bathhouse, an impressive seaside hippodrome and a huge Roman Theatre, which hosts concerts during the summer. There are information signs all over the place, but also try to take some time to imagine what a great city this must have been 2000 years ago. An overview of the Caesarea archeological site. 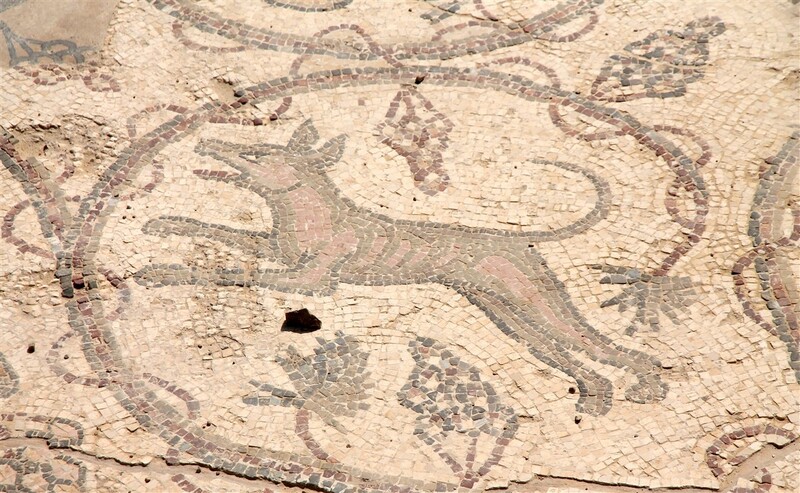 Detail of a mosaic, featuring a dog. 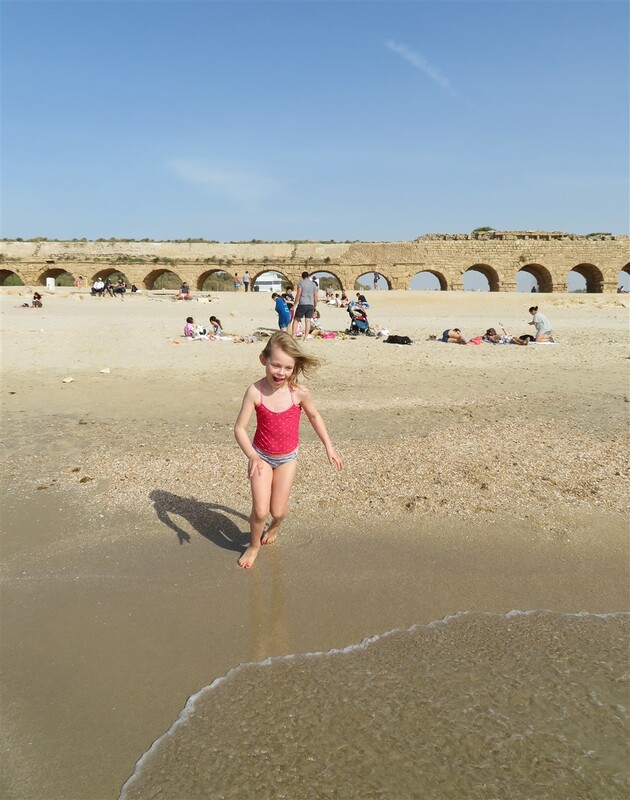 North of Caesarea lies Aquaduct Beach, a lovely spot for a swim with the unusual backdrop of a Roman aquaduct. 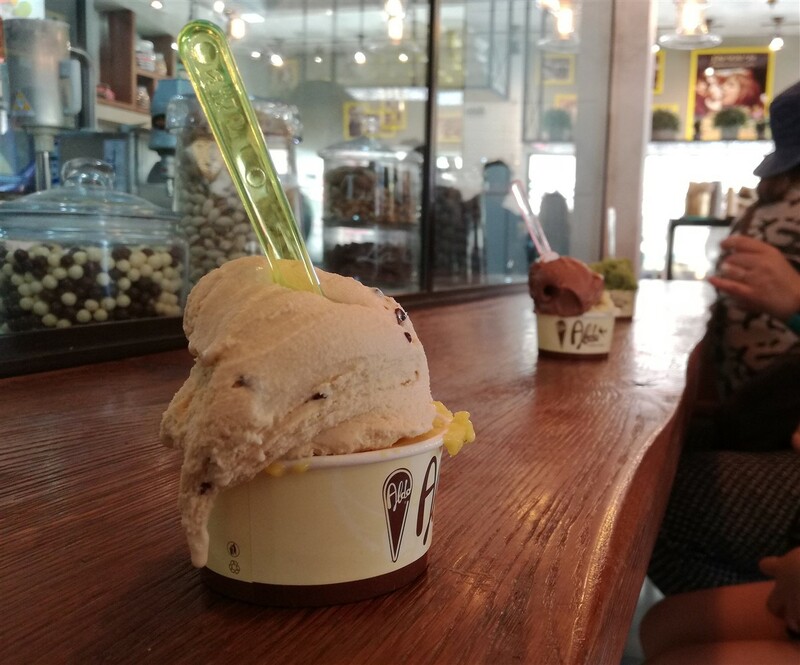 On your way to the north, stop at Aldo ice cream in Zihron Ya’akov to please your palate with some top-end cold delights. 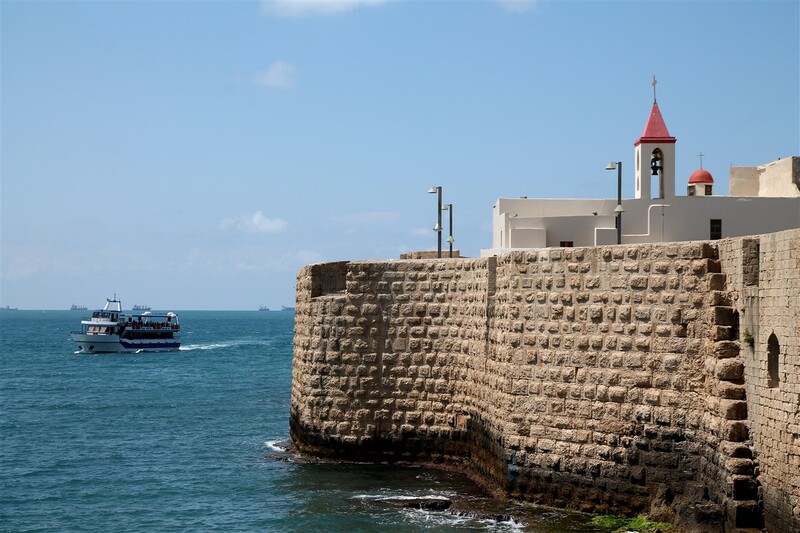 Akko or Acre is a medieval port city with quite an interesting history. 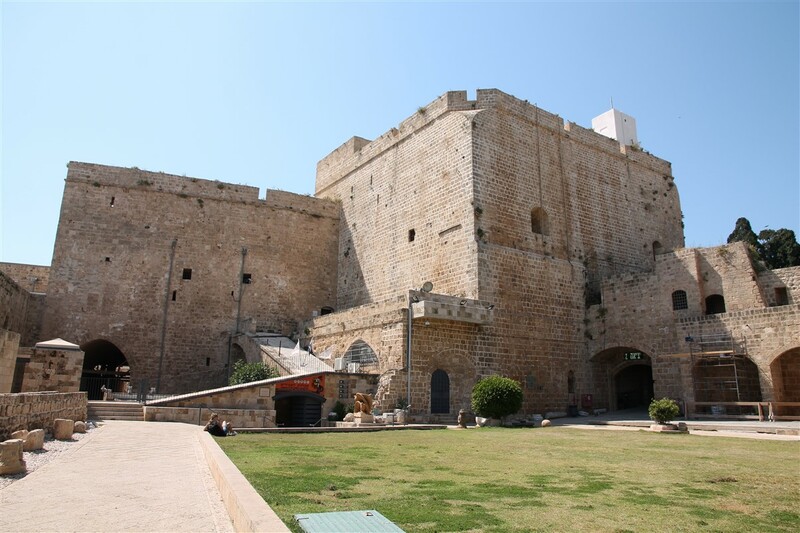 Most notably, after the first crusade in the 12th century, the crusaders claimed this city and made it their most important port in the Kingdom of Jerusalem. In that same century, during the third crusade, the Teutonic Order was founded here. Important remnants from that period are the impressive Knights’ Halls and the claustrophobic Templars’ Tunnel. 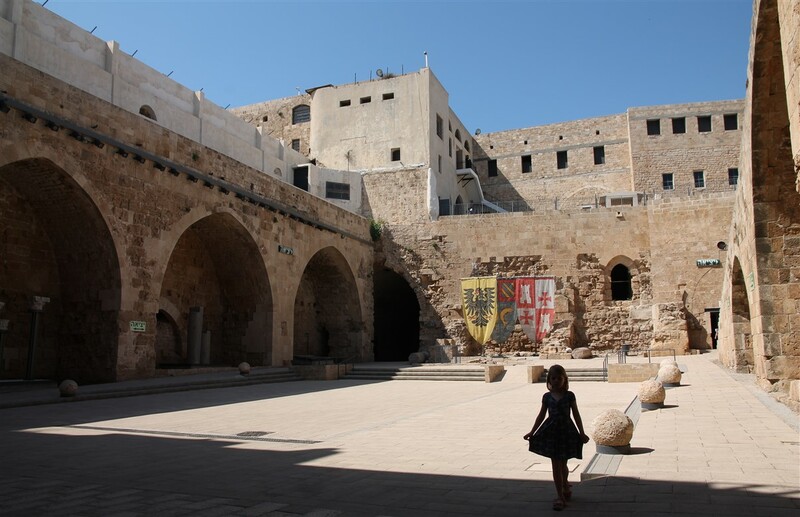 The medieval port city of Akko. 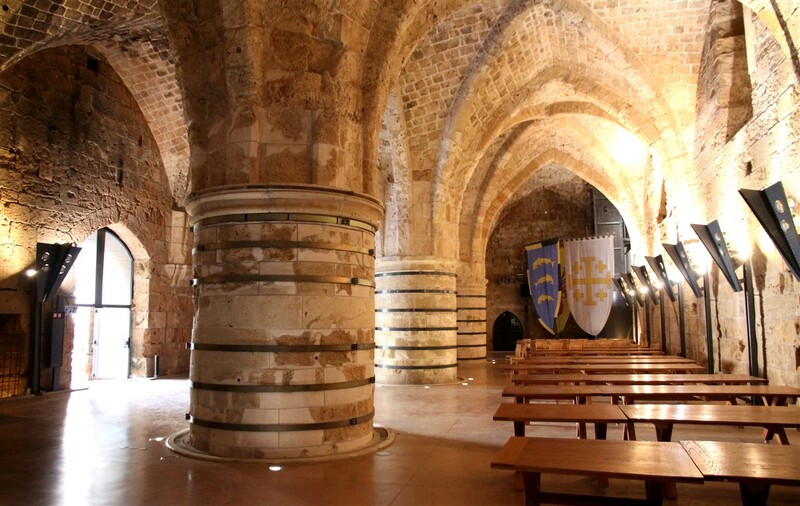 The Knights’ Halls is an impressive citadel in the city centre that breathes the atmosphere of the (Hospitaller) knights and the many pilgrims that were welcomed here on their way to the Holy Land. 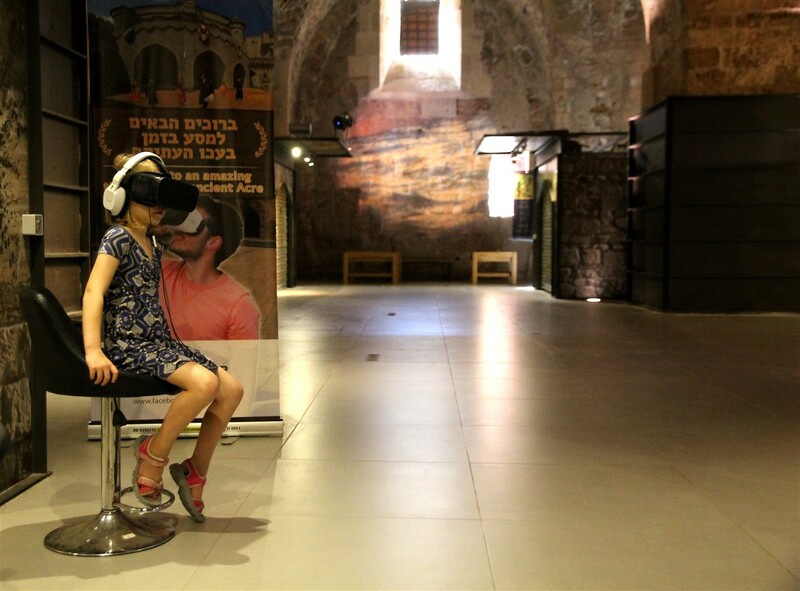 Even though this robust fortress and its halls are impressive in their own respect, there are also many multimedia installations (including a VR experience that our daughter loved very much) to describe the story of the knights and their importance for Akko. 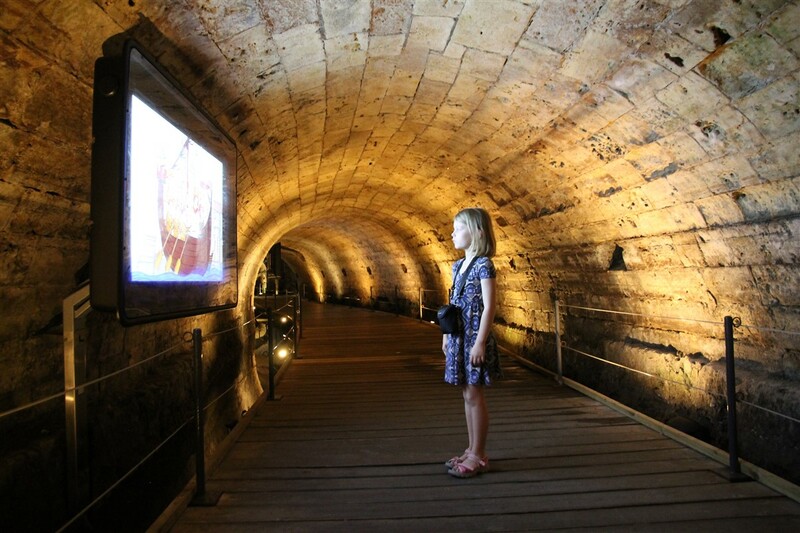 Near the fortress’ entrance, you can buy a combined ticket that includes the entrance to the fortress, the Templar’s Tunnel and Rosh HaNikra (adults: 99 NIS, i.e. 25 euro). One of the many impressive halls. The Templar’s Tunnel is a 350m long, underground passageway that connected the Templar’s fortress with the marina. It isn’t free of charge, but it just is an essential part of the whole medieval Akko experience. NOT recommended for people with claustrophoby or related anxieties/diseases. 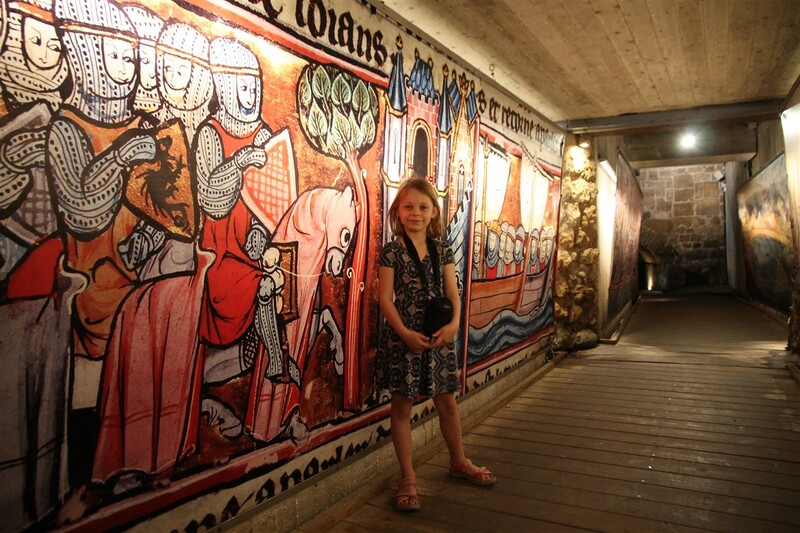 The tunnel is decorated with medieval themes. Multimedia providing visual information about the story of the tunnel. 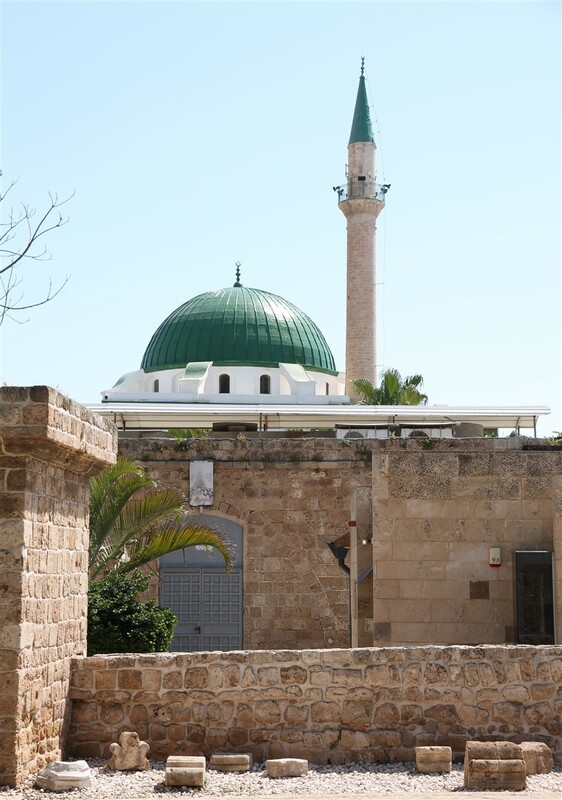 Other highlights include a walk on the city’s ramparts and a visit to the green-domed Al Jazzar Mosque. 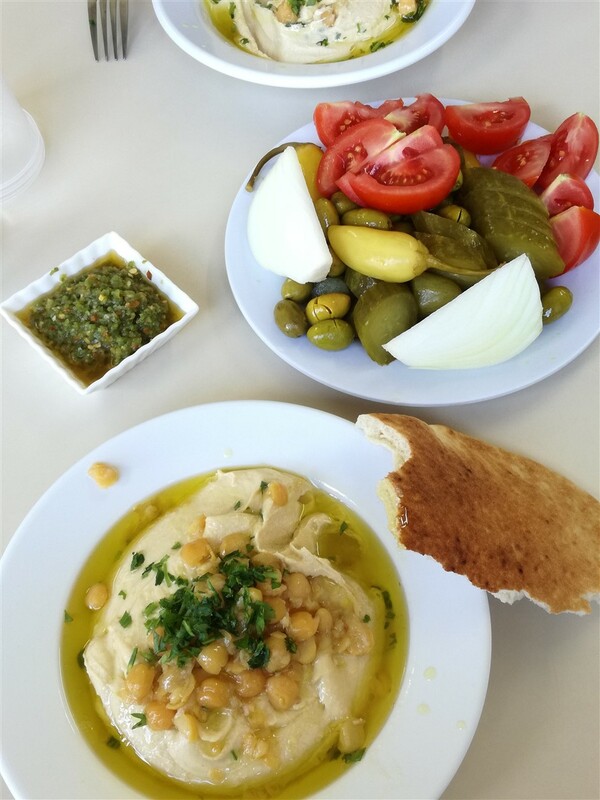 If you are looking for lunch options, we can recommend going to one of the many hummus restaurants. We went to Hummus Issa, a tiny place that serves simple but overly delicious hummus with bread and a selection of vegetables. 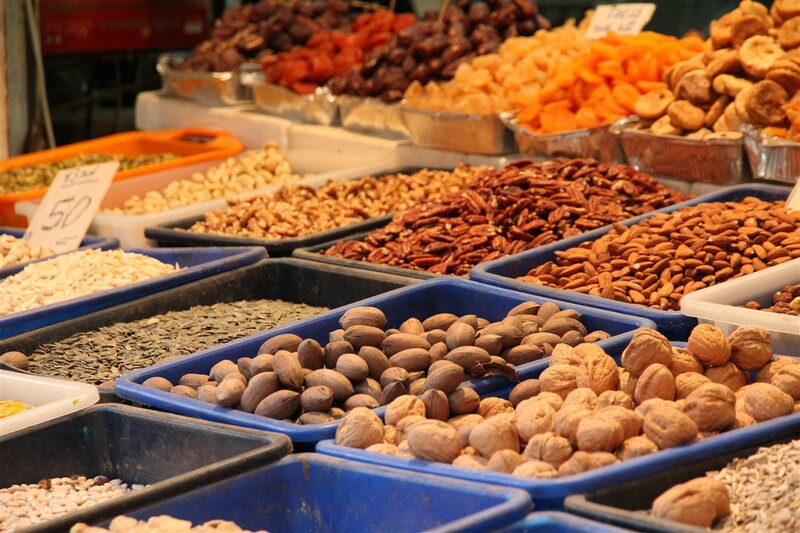 Simply wandering about in the narrow streets of the city center (and maybe getting lost in the local souq) is also a pleasant and cheap pastime. 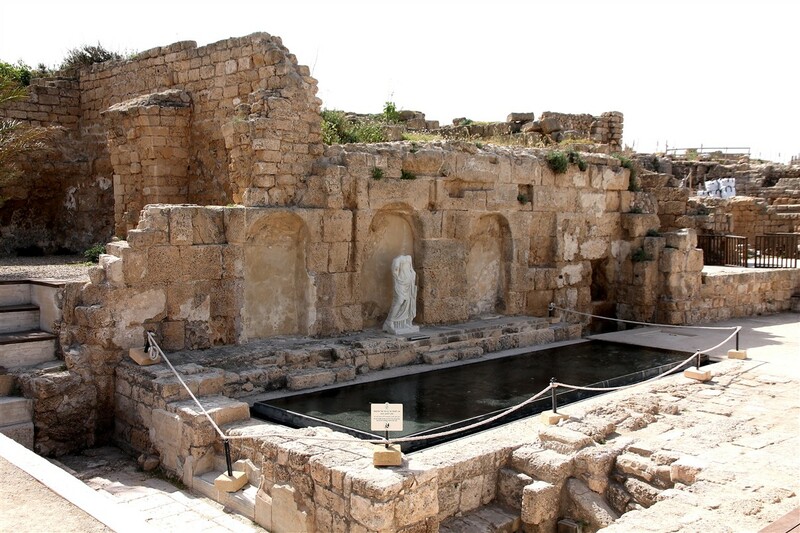 Acre is a historic, walled port city with continuous settlement since the Phoenician period. The city is a typical fortified town dating from the Ottoman 18th-19th century, with typical urban components such as a citadel, mosques, khans and baths. The remains of the Crusader town (1104-1291), are almost intact, and provide an exceptional picture of the layout and structures of the capital of the medieval Crusader Kingdom of Jerusalem. 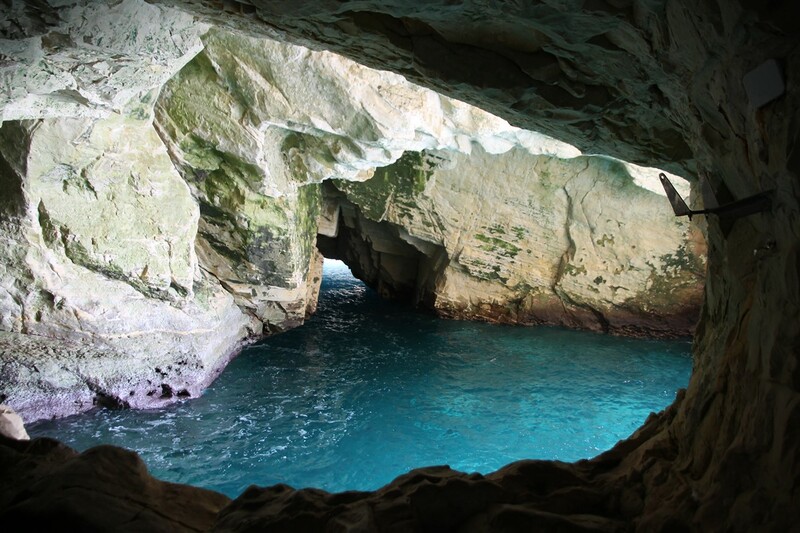 These grottoes that lie on/under the Israel/Lebanon border are a popular touristic attraction and consist of cavernous tunnels formed by the eroding activity of the sea. Although they are not super spectacular (don’t expect any stalactites or other spectacular limestone formations), they are a lovely addition at the end of your day/days near the sea. The cable car that takes you down to sea level is definitely a bonus when you travel with your kids. After your visit, take some time to explore the coastline. 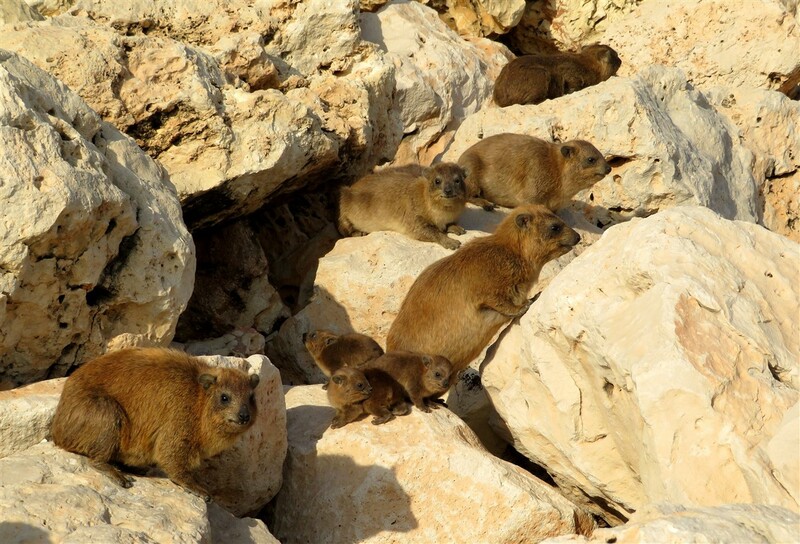 You might find some cute rock hyraxes here. It is possible to combine these three spots on a single day trip, although we would advise to take things a bit more easy and make it a 2-day excursion. 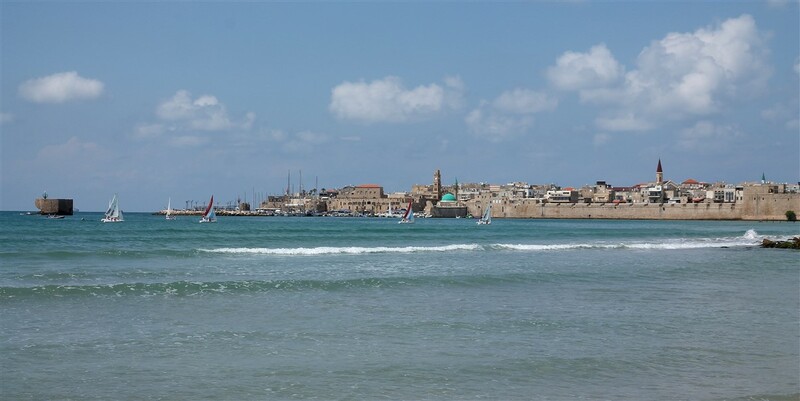 This will enable you to spend more time at the beach and a longer lunch break in Akko.